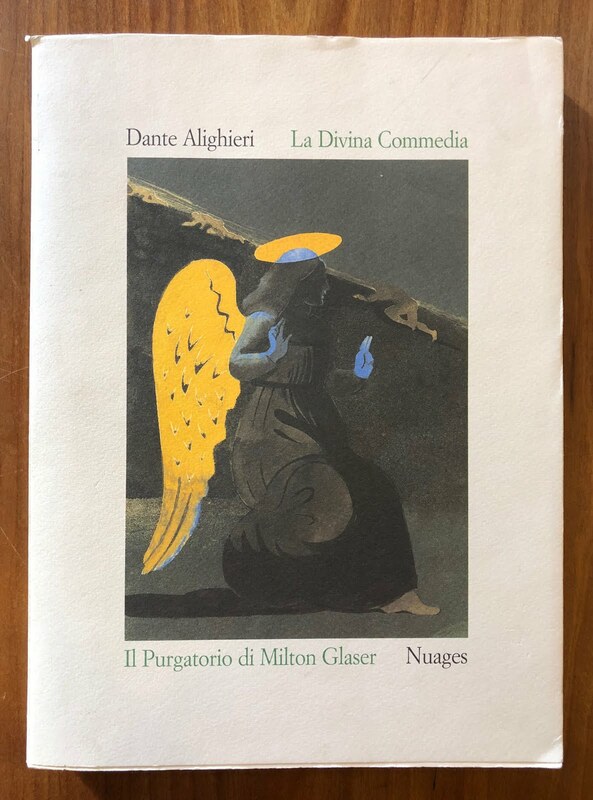 I just got this beautiful present from Milton Glaser. 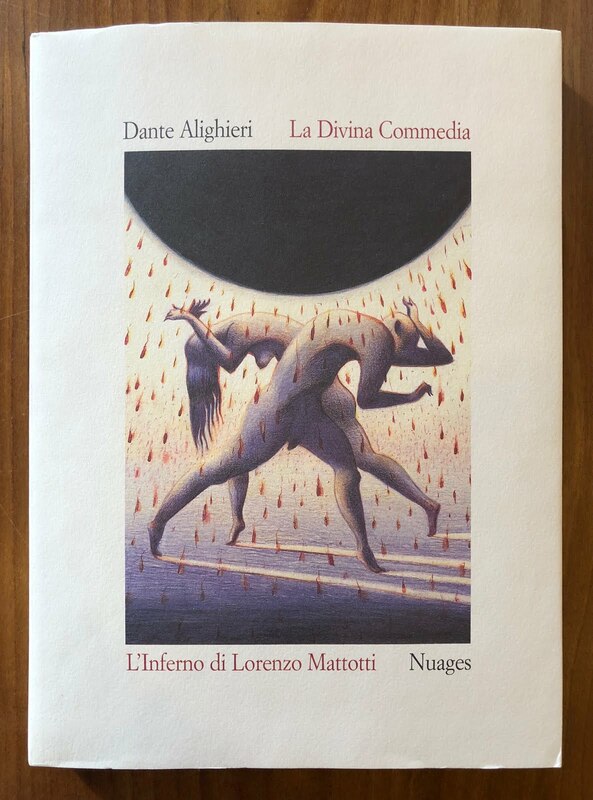 Dante Alighieri's La Divina Commedia. 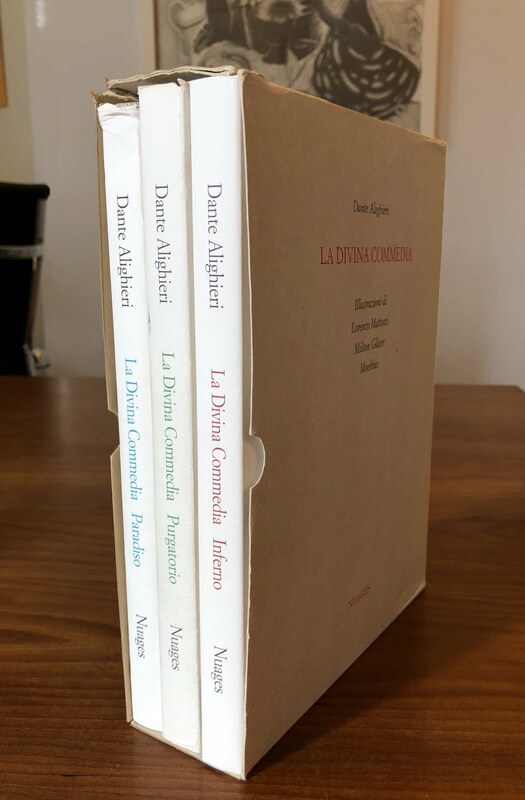 What is really divine by this Trilogy is the choice of the illustrator three best illustrators of that time and three most appropriate illustrators for the job. 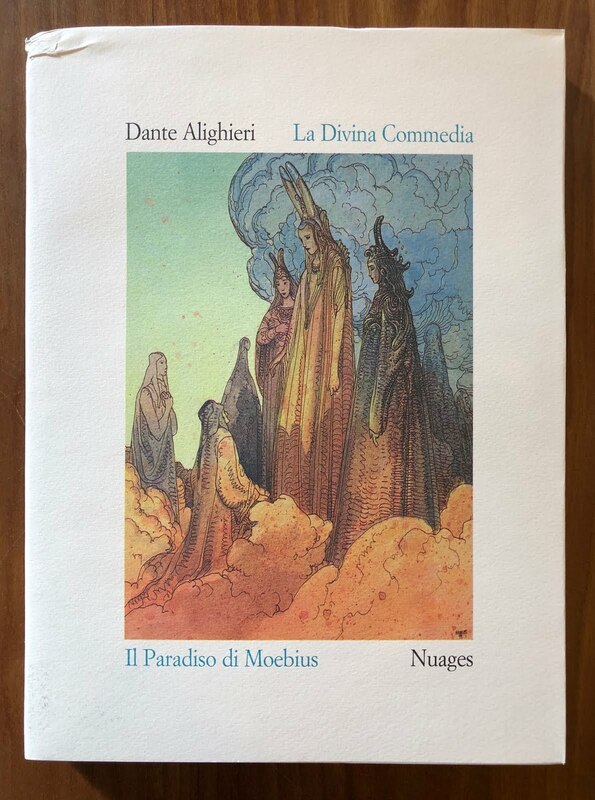 Moebius illustrated Paradise, Milton Glaser Purgatory and Lorenzo Mattotti. Each of them created 20 to 30 illustrations. 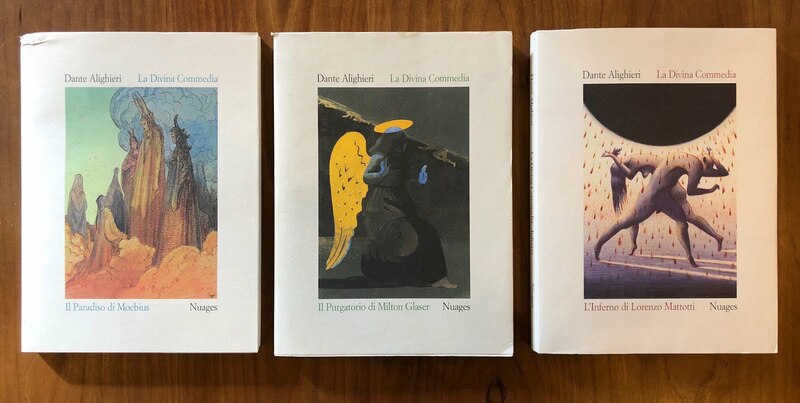 The books were published by the Italian publisher Nuages in 1999.